If you are the hapless owner of a terrified dog or cat that is frightened of thunderstorms and firecrackers or that hyperventilates and paces nervously when left alone, you will be pleased to know there are simple and humane yet effective ways to calm her. 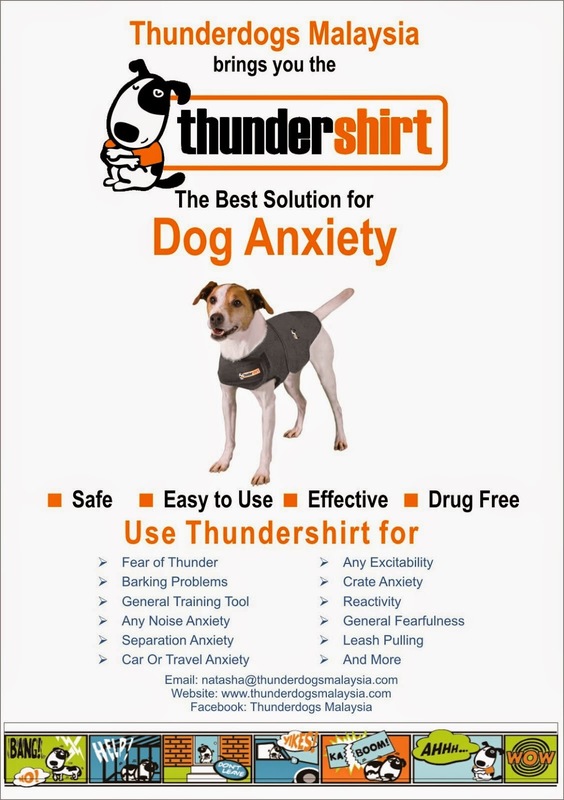 Currently in the market are two products that are non-invasive, all natural, drug-free and reasonably priced – one called the Thundershirt and the other the Anxiety Wrap. According to animal behaviourist Dr. Temple Grandin, applying gentle pressure has a calming effect on the nervous system and has been a common practice used for years. The science behind this concept is that gentle pressure induces the body to release hormones like endorphins and oxytocins that have a calming effect on the nervous system. For instance, our mothers swaddled us as babies to induce calm when we were inconsolable – swaddling helped simulate being back in our mother’s womb, which is a small, tight space that is comforting, calm and safe. People with autism also benefit when gentle pressure is applied as it produces a calming effect. Similarly for many years now, cattle farmers applied pressure to their livestock as a way to calm them or when veterinarians needed to relax the cattle to administer vaccinations. 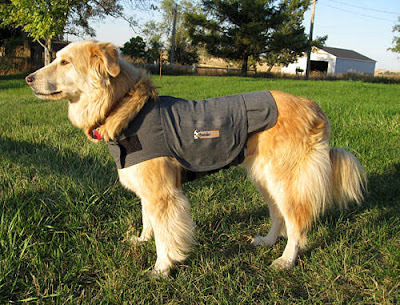 While the Thundershirt works by exerting gentle, constant pressure around your dog’s torso behind the front legs, the Anxiety Wrap uses acupressure and ‘maintained pressure’ by targeting acupressure points on the dog’s body including her sensitive pressure points on the back legs. While research has shown that the Thundershirt is effective at reducing the nervousness and distress a dog experiences by 85%, a Tufts University Clinical Research Study showed the Anxiety Wrap had 89% effectiveness instead. 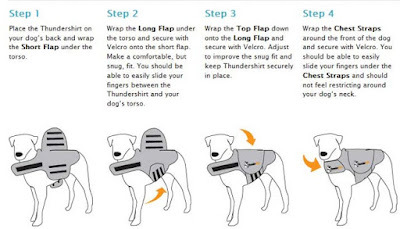 The Thundershirt is easy to put on and remove – just place the Thundershirt on your dog’s back and secure the straps at her chest and torso. Remember the fit must be snug and the adjustable Velcro helps provide a comfortable fit that is not too tight. The Anxiety Wrap meanwhile is pulled over your pet’s head and down her shoulders then secured snugly at her waist and neck for the perfect fit. The company also markets a Face Wrap that eases the tension of dogs that bark incessantly. Although enjoying a high degree of success, not all dogs and cats can be soothed by either the Thundershirt or Anxiety Wrap. In such cases, it is best to contact a certified and professional dog trainer in your area to help your dog overcome her ‘issues’ using other humane methods. For instance a behaviour modification plan that uses counter-conditioning and desensitisation methods will greatly help her overcome her fear, anxiety or aggression, whichever the case may be. 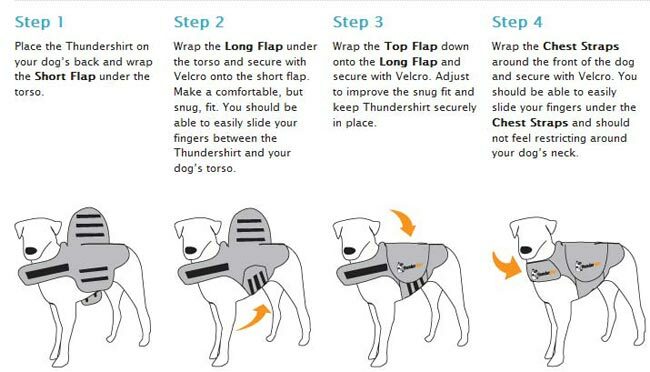 In the meantime though, do give the Thundershirt or Anxiety Wrap a try. Both are available online. Dr. Susanna Brida-Hofherr is a qualified veterinarian in western medicine and surgery as well as a certified veterinary acupuncturist with Asia Paws. Her acupuncture credentials are certified by the International Veterinary Acupuncture Society (IVAS). GORGEOUS AUTUMN IS THE WINNER! CONGRATULATIONS TO AUTUMN AND EELYN SOON! Autumn has won the Win a Thundershirt for CNY competition with an amazing 373 votes!!! "I love the Thundershirt because I'm old baby Tumn. 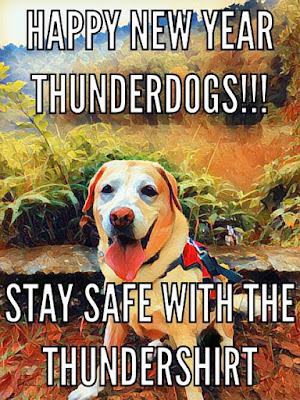 I'm very afraid of the rain, thunder, firecrackers and am always a weather forecaster, knowing very well even before the rain comes, alarming my beloved owner to put on the Thundershirt for me and I need her to be by my side till I fall asleep soundly. I wish to have another piece of it for her to put on me, as I love wearing the comfy Thundershirt on. Can I get a new one please?" 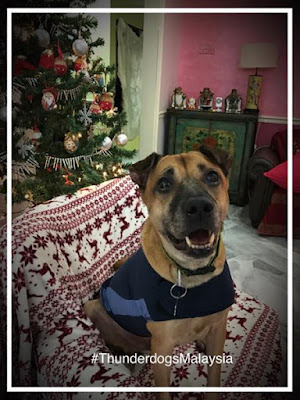 KEEP CALM WITH THE THUNDERSHIRT THIS CNY! 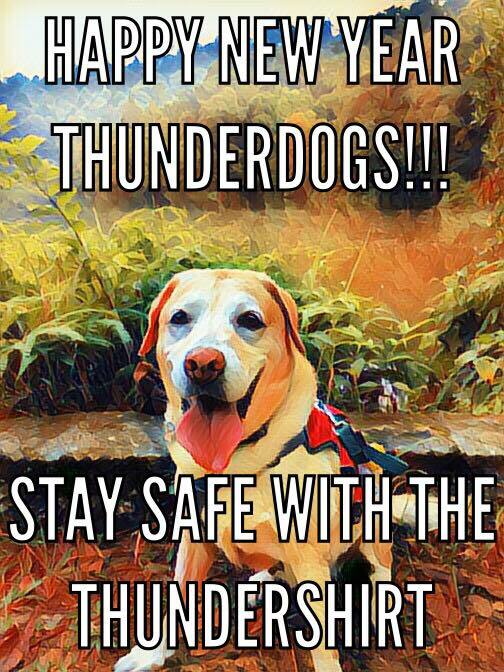 WIN A THUNDERSHIRT COMPETITION COMING SOON! 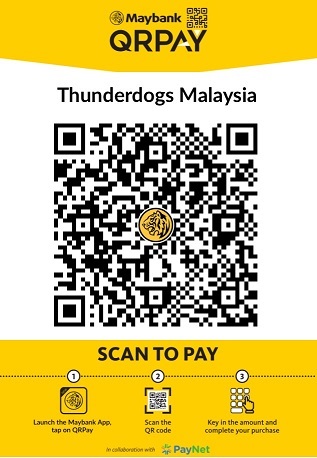 Calling all Thunderdogs in Malaysia! So put on your Thundershirts and WATCH THIS SPACE for details!!! We at Thunderdogs Malaysia would like to wish all our Thunderdogs a very Happy New Year! We would like to thank every fur-parent who purchased a Thundershirt(s) for their kiddos from our our Christmas / Online-store Launch Sale in December 2016. We also hope that all our new Thunderdogs were calm and happy over the festive season.